My Mom has been a resident of Winterberry Heights Assisted Living and Memory Care in Bangor, ME for almost 4 years. She has dementia that has progressed over that time, but generally, she has remained physically independent. She had an emergency call button on a lanyard around her neck, but she never used it because she never asked for anything. One of the RAs told me the only thing she ever asked her for was toilet paper, and she shouldn’t have had to ask for even that! 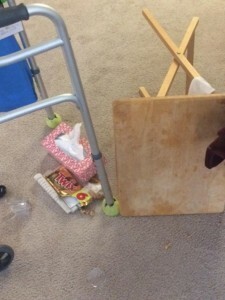 She started using a walker around Christmastime 2017, after a bout with the flu and a hospitalization. When Mum became ill with the flu that year, nobody told me. I monitored her and stayed with her every day until she was so ill I took her to the St Joseph Hospital. She spent 3 days there over Christmas in 2017. WH was on lock down for flu at that time, and I was not informed about it. I only learned it by walking into it. When Mum was discharged from St Joe’s, she got outpatient nursing, Occupational and Physical Therapy from St Joseph Hospital Home Nursing services at that time, and they did a tremendous job with her. It took a call to a doctor I knew from my work to get those services to Mum immediately. The first 2 referrals, one from her Nurse Practitioner, and one from WH director, would have forced Mum to wait for over a week for her first OT/PT assessment. It was Christmastime after all. My expectations for continued care for my mother were superseded by the holidays. During her lifetime, she has always been health conscious. She walked a lot, outside most of the year, and on a treadmill when the weather was bad. She attended TOPS (Take off Pounds Sensibly) to keep her weight in check. So, even after she started using a walker, she would walk outside at WH when weather permitted. We removed her treadmill after she tripped and fell about 3 years ago. That fall was because an electrical cord was in the way, and we did not want to chance a fall from her treadmill. Mum has essentially been like the EverReady Bunny…and we often joked about that. This is what happened to my Mom at Winterberry Heights last week. March 18. I went to visit her at 2pm. She was in bed, in her nightclothes, and there was no sign of a lunch tray having been brought to her room. Her newspaper was still on the floor in the hallway. I wondered if anyone at all had looked in on her before my visit. I already knew that she had stopped fixing her own breakfasts recently and so she routinely did not eat breakfast. She was never interested in getting up, dressed and down the hall to the dining room by 8am, right from her first days at WH. So, it was most likely that she had not eaten anything that day so far. She was confused and unaware of the day or time or if she had eaten. She got up to the bathroom and then to her recliner with my help and she wanted something to eat. She said she wasn’t sick, she was “just being lazy”. But, of course with no recall, I can’t always rely on what she says. I went to the staff and asked about her and express my concerns about her state. After asking about her 3 times to three different people, I got several different stories, and finally after an hour and 3 requests, an assistant delivered a turkey sandwich and about 2 oz of apple juice. Then she ate a little something and drank juice and water. I visited a second time that day at supper time and she ate a little bit then, and did not recall feeling ill. I wrote an email to the facility director about my concerns about Mum and her response came the next day. I know your mum has been checked on and had not felt well the past few days. I will pass this to nursing to respond to you. Nursing (LPN as well as RN) who have been monitoring Gerry and the direct care staff I have witnessed bringing meals and beverages to her room . We will follow up with you soon. This was the first I had heard of her “not feeling well”, and Penny’s nurses never called me about anything. Communications from WH were pretty much non existent and I only learned about Mum’s issues by going there frequently. That is how I learned about the flu outbreak there, and how I learned that her blood pressures had not been checked every day for 2 weeks after her NP ordered it. A few years ago, she had a change in her blood pressure medications and needed close BP monitoring. The activities director told me on March 19 that Mum had missed just that one meal , yesterday’s lunch, in the past 3 days, and she knows because she was doing dining room duty over those days. So, who was telling the truth? Who knows? I believe the activities director keeps close watch on all of the residents and she knows. The next day March 19, I visited at the same time, and she had gotten dressed, and walked down to the dining room lunch, so I figured she had simply had a bad day before. Then Friday March22 I visited and Mum really seemed “off”. She was confused, and she was having a really hard time getting up from her kitchen table , where she sat having her in room lunch. I got her settled into her recliner and went to the desk and asked about her again. I came back to the room with the RN. I had asked her to check her vital signs, her blood pressure, pulse oxygen level, pulse. She had already checked her temperature and all were normal. She told me she was going to get an order for a urine test to see if she might have an infection. Because infections without obvious symptoms can cause confusion and weakness in the elderly, I felt that was a good plan and I left Mum napping that day. The nurse never got the order and no test was done. I’m afraid I dropped the ball on that because I trusted the RN to handle it. I should have known better. Saturday March 23 Mum seemed a little better. She had her meals in her room and she ate most of it. She needed some help to her recliner, but she seemed brighter and better. I was however worried about her weakness. Sunday March 24 morning I got a call at 11am, that Mum had fallen between her bed and her bureau. They didn’t know how long she was down, but she was not unconscious. They said there were no cuts except a small nick on her shoulder blade, and a bruise there. I went to WH immediately. I checked her all over, front, back, top to bottom and she seemed unharmed, except for the bruise. I spent most of my day with her and helped her with her lunch and dinner and she ate fairly well. But she seemed “off” again. I asked about the urine test. None had been done, No order had every been given. So, I asked for a urine cup and a urine strip to test it and I would do it myself. The CMA cannot take a verbal order over the phone for urinalysis test, even though I called and argued with the NP and PCHC to give one. With great difficulty, I obtained a urine sample and the dip strip test was normal. I stored the urine in the fridge because I made an “appointment” for Mum to see the visiting NP at 930am the next morning. I stayed until Mum was settled after her supper. She was in her recliner lift chair, with an afghan, and a glass of water by her side on a chair side table. Her walker was right next to her. I was absolutely assured by the CMAs and RAs that because she had fallen, she would be checked every hour. So, I left to go home, taking the staff at their word, and trusting that they would help her to bed. I arrived at WH at 9am March 25. 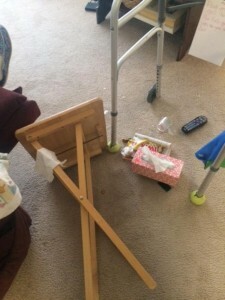 Mum was in the same spot, with the same clothes on, very somnolent, her chair side table knocked over, broken glass on the floor, her walker out of reach, and no afghan over her. She was extremely sleepy. Her bed had not been slept in and no sign that any food had been brought in. Once I determined that she was OK for a few minutes, I stormed down to the desk, and clearly and loudly told them what condition I had found her and her room. I told them this was lousy care and blatant neglect. This was NOT acceptable by any stretch of the imagination. At first I thought I would wait for the NP visit, but when she hadn’t even arrived at the building by 950 for my 930 “appointment”, I hustled my Mom out of there and brought her to St Joseph Hospital. This morning was the culmination and the epitome of broken promises….the appointment time, the every 1 hour checks, the urine test, nurse contact, and on and on and on. I was disgusted by all of this because my mother is precious to me. She will never set foot in that place again. Although I do not blame Winterberry Heights for my mother’s illness, they will not get a second chance to neglect or harm her. The Resident assistant was extremely sad about what happened, and so was the CMA. Both cried a little. The RA said she was responsible for that entire floor, approximately 30 to 40 residents and 15 of them needing lift assist. She also said that her orders from the director were to be in and out of those rooms in 5 minutes. None of this was her fault or the CMAs fault. This is Corporate neglect, and profiteering….off these vulnerable elderly people and their families and off these hard working people who really do care and cannot possibly meet the needs of that many people needing attention. So, my intention is to first help my Mom get better. She is 93 and has pneumonia that did not present any symptoms other than intermittent and increasing weakness and low appetite. She needs rehab and Long Term Care. She needs me. Second, I intend to expose Corporate minions like the lying, false promising director of WH and her Corporation. 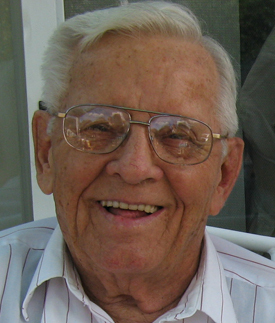 Private Assisted Living is a business, to make money. It is not to “care” for anyone. They should not be allowed to falsely advertise (verbally or otherwise) services that they do not hire enough people to perform. They should not be allowed to accept people with needs beyond their staffing abilities and capabilities. This is corporate greed that results in abuse and neglect of the elderly. Shame on them. This is extortion of old people’s money and their families’ inheritances. under false pretenses. This should be criminal. These current events all happened to Mum within just several months of my meeting with Penny about the numerous Maine DHHS violations that resulted in a provisional license to operate just last year. Many of those violations were services that were promised to me and my mother, that were not in place, like a full time RN on staff. They went months without an RN on staff. During my hour long meeting with Penny about the State of Maine violations, I was promised the moon…everything would be fixed, heads would roll, and they would be fully licensed again. I had my doubts. I have met many Pennys in my lifetime and I have learned that nobody is that perfect. I hoped for the best of course, because I wanted the best for Mum. But I was spot on with my impression of Penny. Somehow, they did regain State Licensure. I can’t imagine how..perhaps by just glossing things over while inspectors were there. Or, maybe by falsifying records of things that were not really done. Part 3 will be about Mum’s hospitalization. Long road ahead.